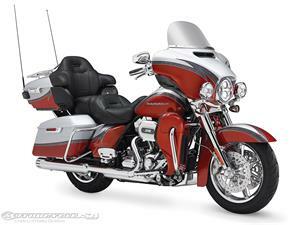 Harley Davidson has just sent out a recall for 6,421 Touring and CVO Touring motorcycle from the 2014 model year. The Milwaukee based company says that the reason for the recall is that the anti-lock brakes can suddenly lock up when the front brake line is caught between the vehicle’s fuel tank and frame. This pinched line then creates a build-up of brake fluid pressure. Harley says that they found out about the defect through warranty claims from their customers. According to reports, the defect has caused five crashes and two minor injuries. To get the brake lines changed for free, bike owners just need to take their bike to the local dealership. A recall from earlier this year of more than 18,000 bikes from the Breakout and CVO Breakout model lines for a fuel range indicator defect. A recall of 29,000 motorcycles from last fall for bikes with hydraulic clutch system issues. This entry was posted in Motorcycle and tagged brake problems, Harley Davidson, recall. Bookmark the permalink.